Jim Butler has always looked at the world with a sense of wonder and has found his voice as an artist as a result. 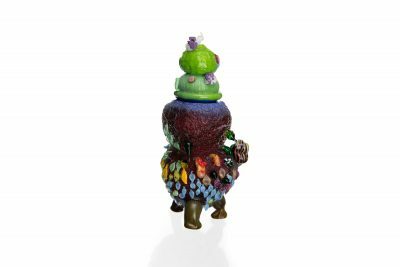 Both a painter and a glassblower, Butler produces sculptural work that combines high-fire decals with blown glass forms to create complex reflections on culture, politics, and the future. Jim Butler, Revolutionary Folk – Madame L. and True Chemist. Alison Siegel & Pamela Sabroso, Double Orange with Hat. Siegel and Sabroso started collaborating in 2014 and found that working together allowed more playfulness and risk-taking into their artistic practices. 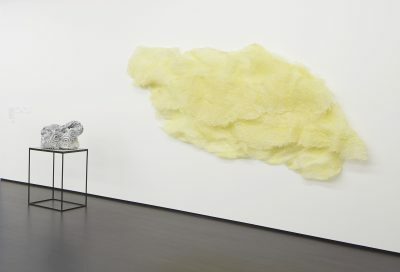 In April 2019, Sabroso and Siegel will use their residencies to work together to explore both cold and hot connection methods in an effort to create objects that are more complex, abstract, and experimental than they have made before. 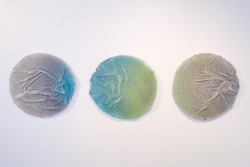 Sarah Briland, Problematica: Bubble Wrap Fossil and Foam Rock. Trained in geology, artist Sarah Briland creates fossils for the future. Using found objects from nature as well as disposable man-made objects as a base, she adds glass elements that resemble lichen, crystals, and other geological specimens. 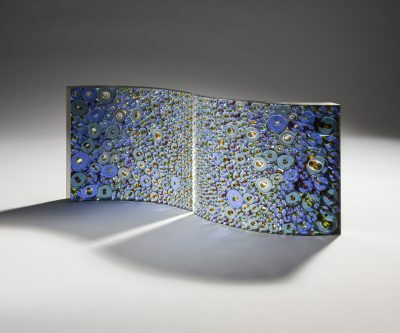 Briland’s work has been selected for New Glass Now, the 2019 global contemporary glass survey exhibition at The Corning Museum of Glass. In her May 2019 residency, Briland will work at The Studio to develop a new body of work that explores the superstitious, mystical, and pseudoscientific methods humans have used to stave off cataclysm and environmental collapse. 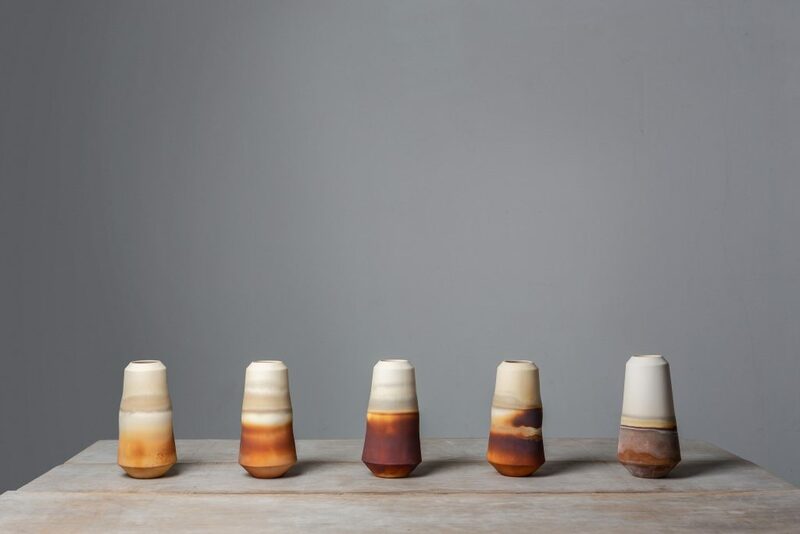 Atelier NL is a design studio based in Eindhoven, The Netherlands, that transforms found materials, such as sand and dirt, into everyday objects. By analyzing the hidden stories of the earth, Nadine Sterk and Lonny van Ryswyck have developed a unique research method in which locally “wild” sand is converted into glass. 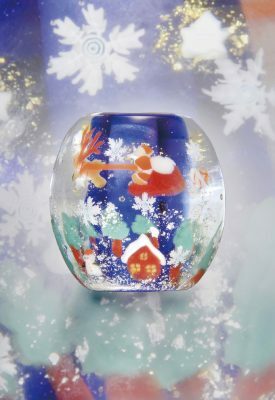 Each glass object bears a stamp with the origin of the sand from which it is made. Atelier NL’s work has been selected for New Glass Now and has received several awards for design. In May 2019, Nadine Sterk will work at The Studio with consultation from Lonny van Ryswyck to gather sands from rivers, lakes, woods, and hills around the Corning, N.Y. area. Using the collected materials, they will conduct experiments to investigate the properties of the sand before using it to create glass objects. 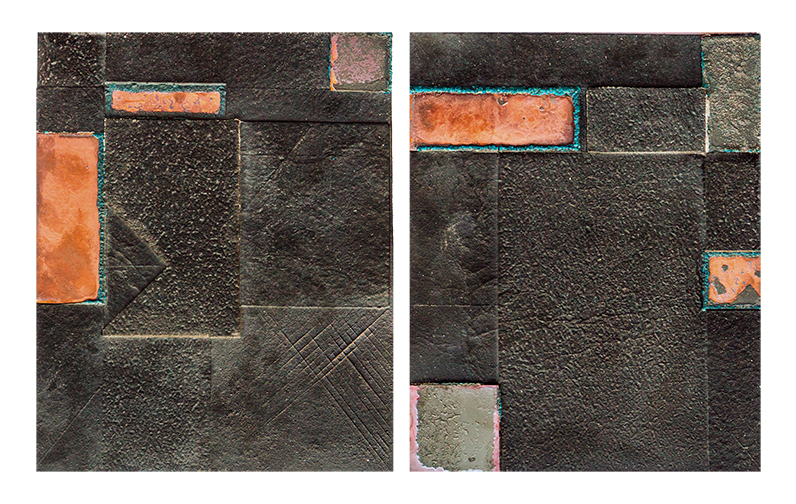 Nathan Sandberg, Relief 2 & 3. Nathan Sandberg will work with Gabriela Wilson during an Instructor Collaborative Residency in September 2019. 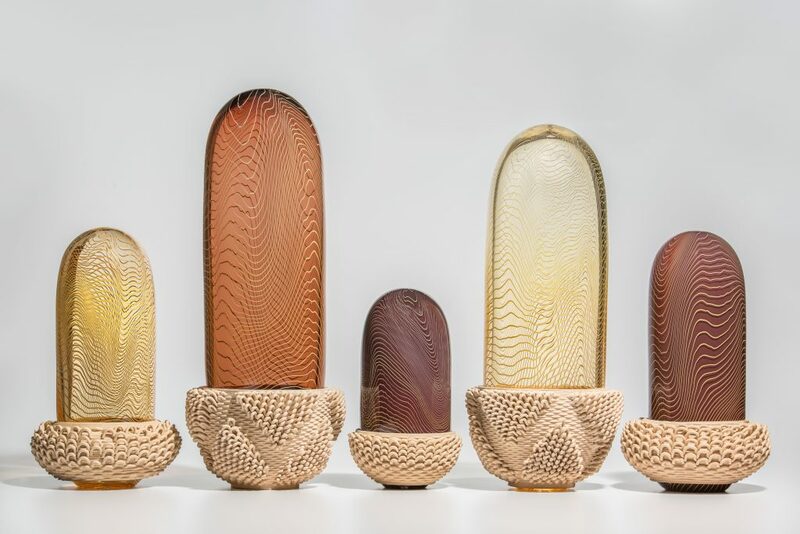 Sandberg currently runs his own studio out of his home in Portland, Oregon, where he works with kiln cast glass as well as other art materials. Wilson enjoys manipulating the properties of glass through kiln casting and hot casting, and is specifically intrigued by how it moves and reacts to its environment. She joined Sandberg, first as a student and then as a teaching assistant in a few of his workshops, including one at The Studio in 2016. The duo plans to explore the traditional hot-shop methods of pulling cane to compare and contrast the process with the Vitrigraph methods. Matthew Curtis, Blue and Amber Section Pair. Matthew Curtis is repeatedly drawn to the complexity and beauty of the microscopic architecture of living organisms. “I am interested in capturing a depth and complexity to the blown and cast glass components I produce, where the finish of the sculpture captures a veiled aesthetic,” said Curtis. Curtis’ work has been selected for New Glass Now and is included in the Wagga Wagga National Glass Collection in New South Wales, Australia. In his October 2019 residency, Curtis will realize a glass structure of considerable scale by focusing on the development and refinement of a large-scale glass membrane. Knit, woven, bundled, and kiln fused glass fiber is commonly seen throughout Machiko Ito’s work, which is glossy like silk and occasionally contains light. Focused on the repetitive, meditative process of knitting structures, Ito is inspired by the geometrical patterns of growth in nature. During her residency, Ito will increase the scale of her pieces and refine the details of her knitting structure to express life and powerful energy as if they were actual organic, living things. 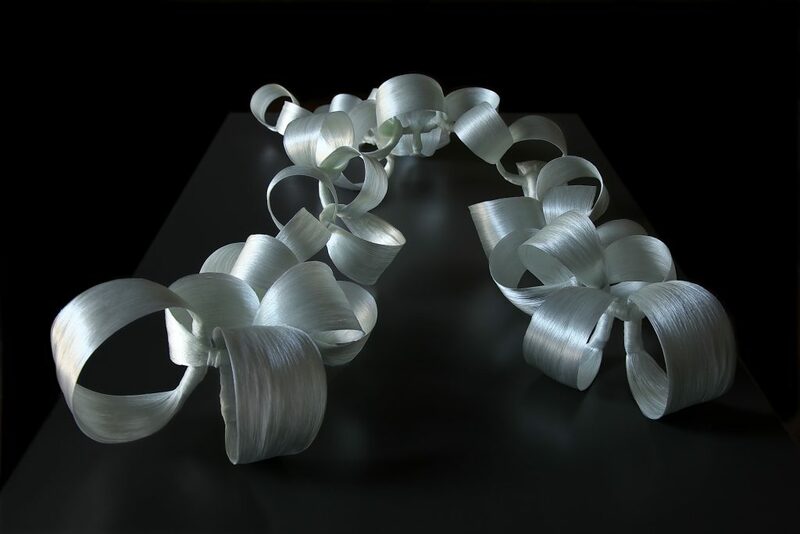 Aya Oki’s work often looks organic and balloon-like because of her process to highlight the materiality of glass. “I want my audience to take away a deeper appreciation for the glass’ materiality and life-like qualities,” says Oki. Oki’s work has been selected for New Glass Now, the 2019 exhibition at The Corning Museum of Glass. In her November 2019 residency, Oki will use The Studio’s resources to push her skills and build a large-scale sculpture out of many transparent, patterned bubbles. Brandyn Callahan became entranced with glass when he discovered the community of glassworkers in his hometown of Portland, Oregon. His work combines glass with other elements such as copper, ceramic, and leather to create sculptures with clean lines and textures to add visual interest. With a background in ceramics, architecture, and digital fabrication, designer Phirak Suon brings a unique perspective to glassmaking. 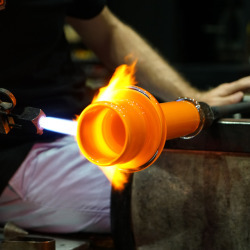 Suon has been working with glassblower Brandyn Callahan since 2016, and together they explore methods between and beyond traditional glassblowing techniques and 3-D printing technology. In November 2019, Suon will work at The Studio with Brandyn Callahan for a collaborative residency, during which they will explore how digital fabrication and 3-D printing can influence how we produce and think about glass as a material. Brandyn Callahan & Phirak Suon, Genesis 52/15/312. David Whitehouse, the Museum’s former executive director, was a highly-regarded scholar who worked to build the resources of the Rakow Library, and a major supporter of artists working in glass today. Two residencies have been created in his memory. 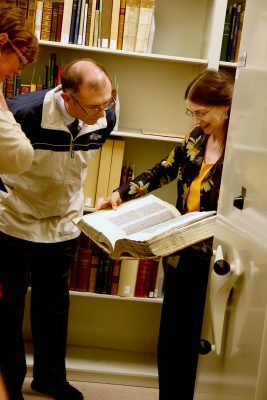 The David Whitehouse Residencies are open to artists and scholars who want to utilize the Museum’s resources, including the permanent collections and the holdings of the Rakow Research Library, to inform their artistic practice or scholarly research. With an academic background in biology and training as a glassblower, Marc Barreda developed an understanding of glass by working for a variety of artists, both taking and assisting with classes at glass schools around the United States and Europe. 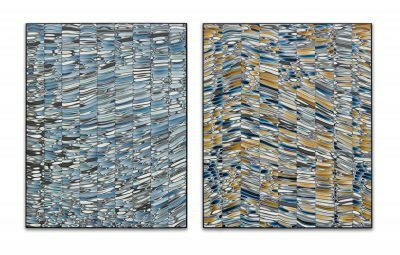 “My work challenges visual perceptions and ideals, emphasizing an attention and devotion to fine craftsmanship,” said Barreda. During his residency, Barreda will study trick glasses through exhaustive cataloguing, finding relevant context to better understand these glasses. 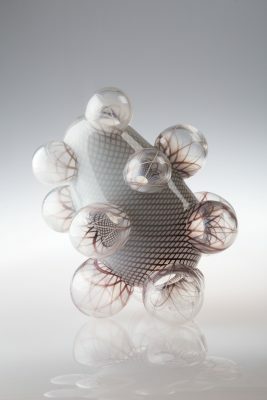 Utilizing digital 3-D computer modeling and printing technology in tandem with glassblowing and casting processes, Norwood Viviano creates work depicting population shifts tied to the dynamic between industry and community. “I hope my work asks people to examine their own histories of migration, from personal and communal standpoints, just as it continues to help me navigate and explore my own,” said Viviano. 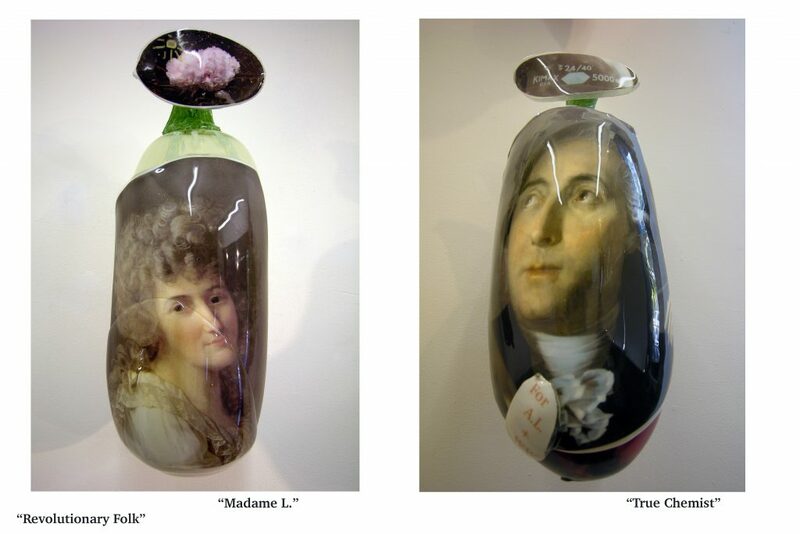 During his residency, Viviano will research cut, pressed, and molded glass artifacts and ephemera from Early American glass industries and the towns that grew up around them. Since April 2017, Crawford Alexander Mann III has been the curator of prints and drawings at the Smithsonian American Art Museum. 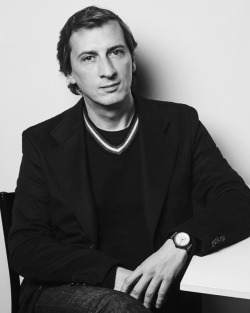 His research interests include Italian-American artistic exchange on the Grand Tour, artists of the American South, and the evolving visual constructions of masculinity, femininity, and gender. During his residency, Mann will conduct research to demonstrate how Venice’s 19th Century Glass Revival was a catalyst for achievements in painting and printmaking by authoritative American artists. Freyja Hartzell is interested in the ways in which we interact with objects and how they interact with us, both historically and in contemporary life. Currently an associate professor at Bard Graduate Center, she teaches how domestic objects served as communicators when Europe was experiencing unprecedented political, cultural, and social upheaval. During her residency, Hartzell will focus on how glass as a material is transparent but has not always delivered in creating political and social transparency. 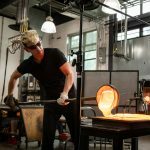 The Studio of The Corning Museum of Glass is an internationally renowned facility for glassmaking located on the Museum’s campus in Corning, NY. An extensive selection of workshops and intensive courses, taught by leading international glass artists, is offered year-round to students of all experience levels. Apply online at www.cmog.org/classes. The Studio is a creative center for glass artists, offering Artist Residencies, affordable hot shop rentals, artist lectures and live streamed demonstrations, and an onsite photography studio, among other resources. I find some of these proposed Whitehouse projects to be quite esoteric, rather tangential at best, and dubious as to whether they are useful-if not embarrassing- with respect to Corning glass vision/mission per se. This looms much like a large “raft” of esoteric higher education type grant projects/topics…..and/or sillious as many U.S. government research areas……of no real known utility.